We shall die now so that you shall live. Suraya Pakzad grew up during the years of armed resistance against the Soviet-backed government in Kabul. Fearing for their teenage daughter’s future, her parents arranged for her to marry at the age of 14. At 15, she gave birth to her first child, a daughter. Her father and her husband were both educated men, and neither of them stopped her from studying. But she hid her marriage from classmates and teachers, since school rules prohibited wives from studying alongside unmarried students. By the time she earned her literature degree at Kabul University in 1992, Suraya already had three daughters. In 1998 she began to help Afghan women in Kabul by setting up covert schools for girls under the oppressive rule of Taliban. She started in her home in defiance of them, who banned females going to school or being educated. Pakzad was the first to register a woman NGO in the post-Taliban era and quickly got the attention of international donors for her work. “Then I never looked back and was able to build a core team of not highly qualified but dedicated people that helped me a lot to support vulnerable women and families”. In 2004, the Board of Directors of Voice of Women Organization (VWO), the non-governmental, non-political and non-profit organization she created, realized that the need for assistance to the women of the Western Region of Afghanistan was largely unfilled and the Head Office of the organization was shifted to the Western city of Herat. 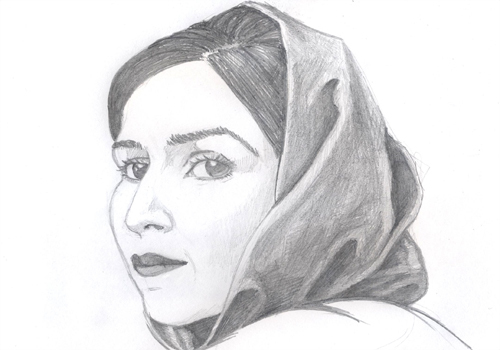 This entry was posted in gender equality, meet and tagged Afghanistan, covert schools for girls under the Taliban, suraya pakzad, voice of women organization, women of courage 2008 award on October 8, 2010 by ninuccia.